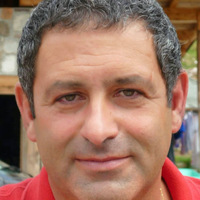 Massimo Giliberto is the founder, principal trainer and supervisor of the ICP, and the Director of the School of Psychotherapy. His areas of special interest include theoretical-practical training and constructivist teaching, ethics in professional relationship, and the origin & evolution of constructivist psychotherapy, and he practices Psychotherapy and acts as consultant for organizations of the ICP. He is also an Associate of the Serbian Constructivist Association and a key figure in developing networks of collaboration between European constructivist schools.